Ruffles seem to catch our attention anywhere we go because they are super chic, sophisticated and feminine. 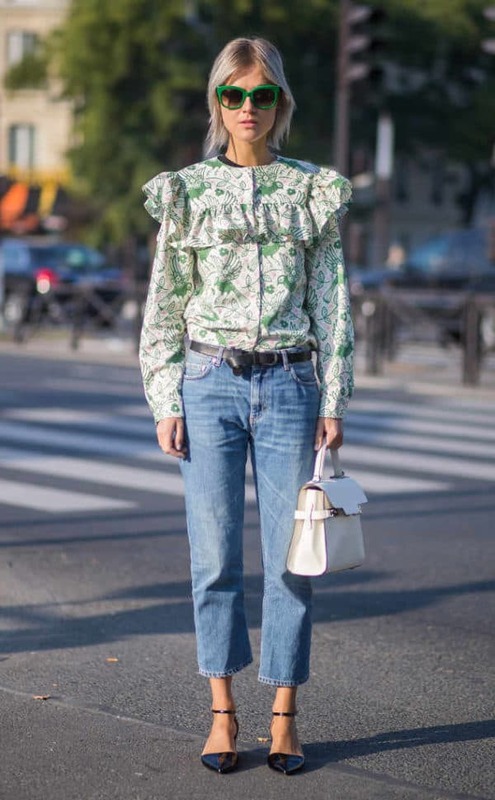 We have seen lots of ruffle clothes during spring and summer, and we have to say that they have made it into winter too. 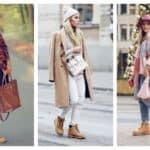 It’s somehow hard to get rid of these super cute clothing pieces and designers have found plenty of ways to incorporate them into the winter wear too. 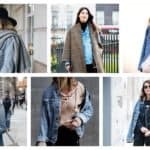 In this article I’m going to show you How To Style Ruffles When The Temperatures Drop, so don’t miss the ideas below. These voluminous ruffles are everybody’s favorites, and now that you will see how to wear them in winter you will crave them even more. 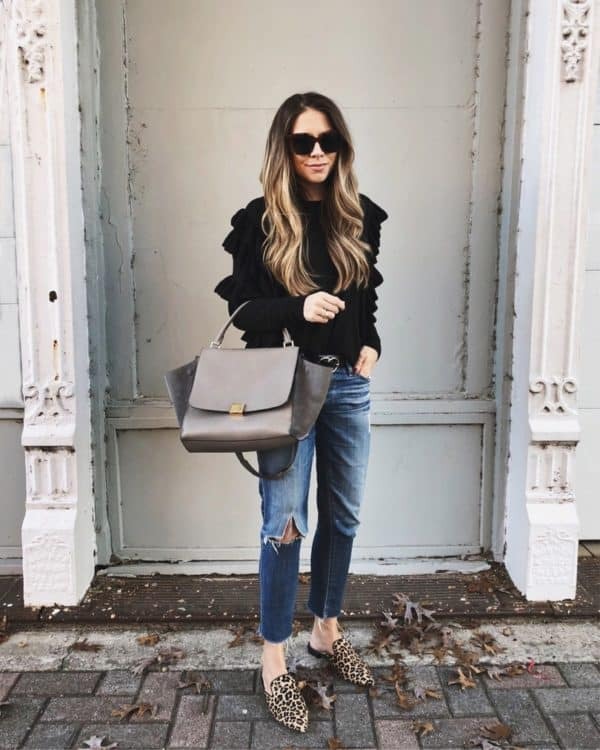 If you don’t have ruffles in your wardrobe, it’s definitely worth investing into some because they will get you looking totally classy and stylish! Ruffles are a huge fashion trend and we can spot them almost on every piece of clothing starting from tops, pants to dresses and skirts. They look really flattering and they give a special charm to your outfit quickly and easily. It doesn’t matter how you choose to incorporate the ruffles into your outfits, you are bound to look really girly and stylish. Do you say how to two major fashion trends ruffles and velvet are put together in one? 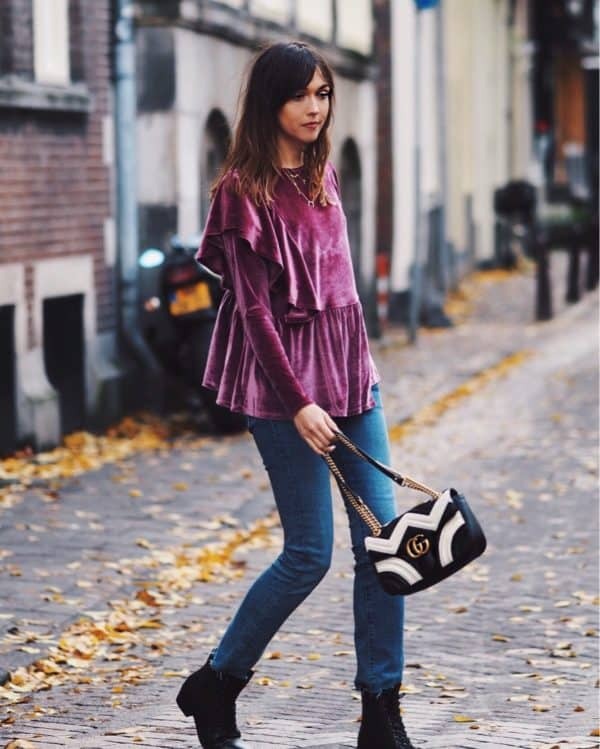 This ruffled velvet top is super stunning and eye-catching! 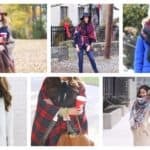 If you are feeling cold all the time, skip the ruffled shirts and go to the ruffled sweaters! They will keep you warm and fashionable at the same time! If you are looking for a combo that will get you in the center of attention, then you should definitely get yourselves a ruffled dress which you are going to style with the amazing over-the-knee boots! The key to looking fashionable during all of the seasons is not buying new clothes all the time, but knowing how to transfer them from one season to another. You should always have in mind the layering as a golden rule. You don’t have to stop wearing your favorite ruffled shirt when it’s freezing outside, but just combine it with a matching sweater or cardigan. Have we inspired you to make some outstanding combinations with ruffles this winter? If yes, stay tuned cause we are coming back with more inspiring ideas!